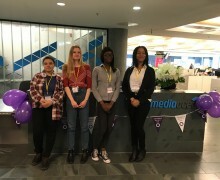 To celebrate International Women’s Day, some female students (Hannah-Ann, Shermaiya, Jacqueline, Angelina) from the A Level Computer Science course participated in an event hosted by Mediaocean. Mediaocean is an advertising services and software company, headquartered in New York City. 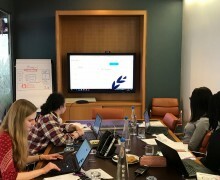 We visited their London offices and the students experienced a series of key talk and practical activities. The day, led by Carolyn Strolin (HR Business Partner), introduced the students to a number of technical related roles in a corporate environment. 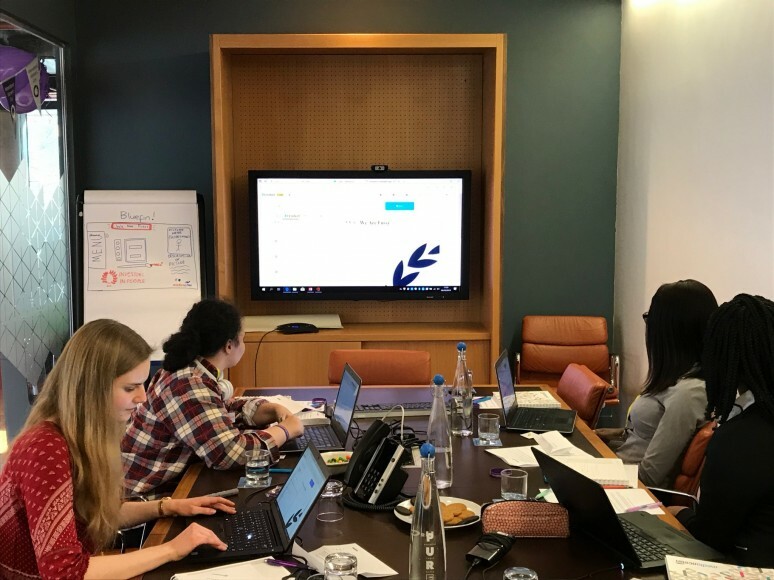 The students were tasked with completing a web development project for a fictitious client that culminated in a presentation at the end of the day. 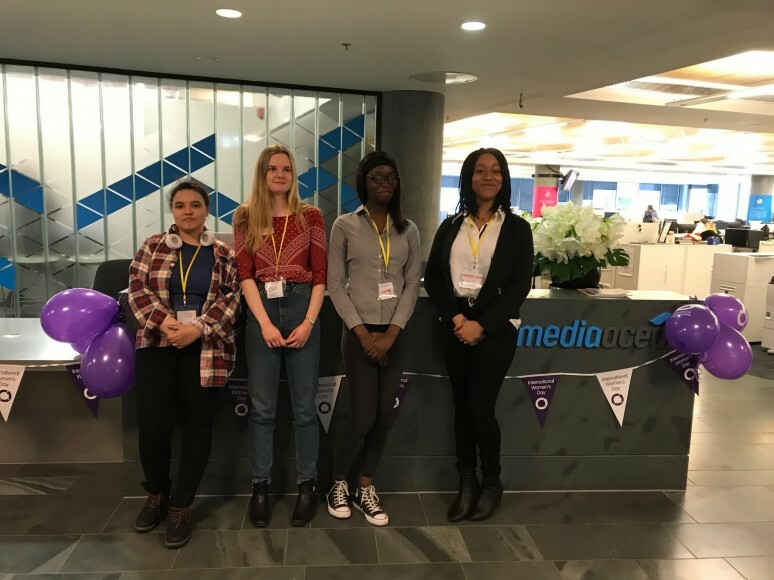 Interspersed through the day were talks from female professionals Clare McLoughlin (Instructional Designer), Olivia Rosalie (Support Specialist), Kayleigh Rice (Training Specialist). 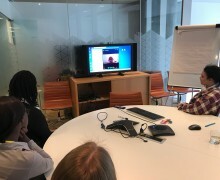 Robyn Sheedy (Senior Business Solutions Consultant), Tracy Fry (Senior Product Manager and former Developer), Preeti Agarwal (Senior Quality Assurance Analyst) and a Skype call from New York speaking to Steph Dorman (Senior Vice President, Client Services). This was an insightful day for the students which have illuminated their impressions of the world of employment within technical fields.